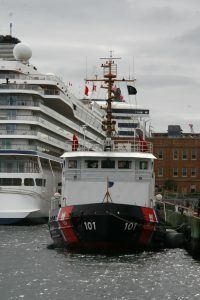 The Bay class icebreaking tug USCGC KATMAI BAY arrived at Tall ships Quay overnight. the Bay class usually works in the great lakes, breaking ice, the ship is likely headed back to her home port of at Sault Ste. Marie, Michigan. Katmai Bay, is named after an area of saltwater shoreline in the Katmai National Park and Preserve in Alaska, is the lead ship of a class. 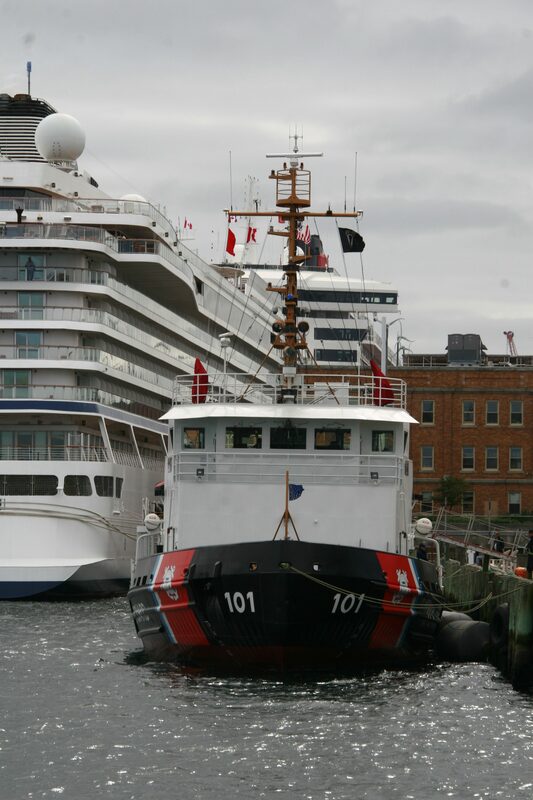 This entry was posted in USCG, visiting ship on October 4, 2018 by Peter.